This entry was posted in Uncategorised on 8th November 2016 by Ivan Tucker. 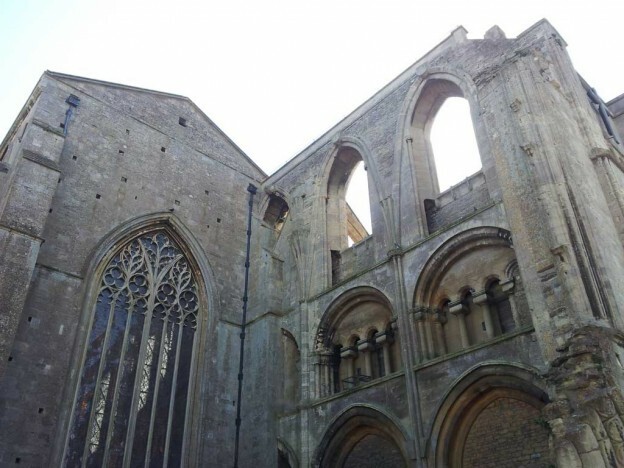 The inaugural Gardens Illustrated Festival of Gardens was held in the ancient town of Malmesbury in Wiltshire on 17th and 18th April, with a wide range of speakers from the great and the good of garden and landscape design, garden history, gardening and other related fields. I attended with 2 colleagues on a beautiful sunny but breezy Saturday (having been unable to make both days of the festival) and thoroughly enjoyed the interesting, informative and well-run event. This was a great value opportunity to attend a series of talks chosen from an a-la-carte menu, paying on a talk-by-talk basis. First up was Fergus Garrett, head gardener at Great Dixter since Christopher Lloyd died in 2006. Fergus gave us a machine-gun fast tour of the gardens at Dixter, and the rationale behind the ever-changing planting design. Not all of Dixter is my cup of tea to be honest, but they do take chances rather than play it safe, and are really good at what they do. I suppose if you had to sum up Dixter in one word, it would be contrast rather than harmony, although on a deeper ecological rather than aesthetic level, there’s actually a lot of harmony going on. But you could equally say that Dixter embodies change rather than stasis. Fergus was an engaging speaker brimming over with infectious enthusiasm for his subject and his knowledge of planting combinations was encyclopaedic. Also very winning is his willingness to make mistakes and just give things ago, which in a discipline like planting design, with innumerable variables, is a great strength. Lunch break gave an opportunity to explore the ancient town and enjoy a walk along the river Avon in the spring sunshine and admire the huge and ancient Cotswold Stone walls before returning to the abbey for the afternoon session. Two very different talks after lunch. Sarah Raven gave a great presentation of her breadth and depth of knowledge as well as her business acumen in building a very successful business as a polymath of plants. Her enthusiasm, expertise, energy and knowledge shone through on a topic I wasn’t sure I was going to enjoy – growing flowers commercially for cutting. Anna Pavord gave a talk for which I hadn’t really done the research when I signed up for it, an incredibly erudite presentation called The Flowering of Tuscany, on the lives, loves and gardens of a coterie of tiresomely selfish and profligate expats living the high life in early 20th century Tuscany. The cast of players was huge, bewildering and essentially interchangeable and in the post-lunch doldrums and the comforting atmosphere of the old abbey I soon lost track of exactly who had slept with, betrayed, fallen out with or had a garden built by whom. To be honest they seemed like such a tedious collection of privileged and cosseted aristocrats that I could hardly bring myself to care anyway, and found myself wondering why we hadn’t had a proper revolution like the French.. Which, at the end of the day, led to a reflection on the demographic of those present and/or speaking – overwhelming white, upper-middle or upper class, well-off and largely female. Not the most diverse group of people you could encounter for sure. Whilst this may be entirely natural (increasingly gardens and home-owning are becoming an elitist pursuit), the extent to which this little world is so dominated by those born into privilege and of a certain age is still disappointing and not a little saddening. So feeling slightly rueful about the whole shebang, we took a diversion to Cricklade on the way home and lifted our spirits with a tramp around the famous fritillary meadows, one of only a handful left in the entire country – a sight I had been meaning to see for many years and was glad to finally get around too. Definitely best viewed lying down. Which was nice. This entry was posted in Garden and Show Visits, Garden Events and tagged Inspiration, Inspirational Writers, Landscape Design on 27th May 2015 by Ivan Tucker. Imagine an aircraft hangar. No, imagine about eight of them, all under a single roof, connected by a central ‘boulevard’ with every imaginable fast food and drink outlet. Imagine sticking that soul-suckingly cavernous and sterile space into a post-industrial landscape bereft of any life or sense of context, in possibly one of the ugliest and most depressing parts of London, surround it with utilitarian generic corporate hard-landscaping and a smattering of functional amenity planting in varying stages of decay, lash it with fiercely cold easterly winds, and there you have the inappropriately named Excel conference and events centre on the 4th March 2015, a venue the mere sight of which can induce the urge to pluck your eyeballs out with cocktail sticks and dunk them in spirit vinegar before dipping them in salt and then setting fire to them for good measure. So that’s the venue then. What was going on inside was thankfully quite a bit better, being probably the largest collection of ‘green’ building materials, products and methods to be found in one place in the UK. I say green tentatively because all of these things require us to consume more products, and ‘reduce’ is often the forgotten third leg of the ‘reduce, re-use, recycle’ stool. Ecobuild was packed full of products to buy or consume, most of which, I would hope, would in the long run produce a carbon/energy saving a lot better than simply trying to persevere with outdated technology just because it hasn’t actually worn out yet. My interest was part professional and part personal, being a landscape designer, my main interest is what goes on outside buildings but also in the areas where they connect from interior to exterior space – slot drains for instance, which do a neat and tidy job of keeping the wet out and the dry in. My personal curiosity, since I’m not currently in the market for a new ground-source heat pump or wood-pellet boiler, concerned whether LED bulbs really are finally good enough to use in all interior lighting situations – it turns out the answer is yes – at a cost, and I even sat dutifully through a fairly dry and boffin-like presentation from someone from Philips talking about the merits of LED bulbs, which were impressive. From a landscape design point of view, Ecobuild was a great opportunity to actually touch a lot of the products that we often specify but don’t always get to remind ourselves how they feel – to check the quality and finish. What stood out for me was ACO‘s latest range of linear and slot drains, which now come in a huge array of decorative designs to give a suitably sophisticated finish to any design. They’re surprisingly stylish and well-made, supposedly unglamorous bits of kit that do an essential job, and thanks to a bit of thought, someone has finally managed to make them look as attractive as they are useful. After giving in to the curiosity to have a mobile massage which I’m pretty sure made my back far worse, I finished the day off by watching a live demonstration of a wall being built from cob (hazel, mud and sawdust) which was fascinating and pleasingly old-fashioned and hands-on, next to all the super-triple-glazed windows and other modern gadgets I had seen throughout the day. And that was that. Excel is huge and tiring to walk around and as a venue it does seem to have the ability to sap the life-force of anyone who ventures within, so I was glad to get out before my own bulb dimmed too much and head back to the green hills of Surrey. This entry was posted in Uncategorised on 27th May 2015 by Ivan Tucker. On my bookshelf is a book which I have never read all the way through – not because it isn’t good, but because it is so rich and dense that I so far haven’t been able to digest all of it – but which I take down and dip into when time allows. Every time I return to it I’m reminded of the acuity of the mind that wrote it, and the beauty and poetry of the ideas within it and how they are expressed. 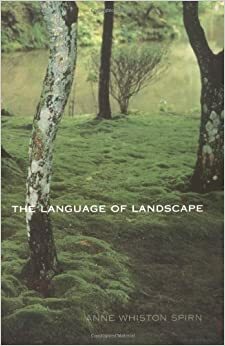 The book is called The Language Of Landscape, by Anne Whiston Spirn, in which she suggest that landscape has a language all its own, with features or concepts analagous to grammar, vocabulary, construction, idiom, semantics as well as those already shared with language such as the vernacular. Spirn argues that in fact landscape was our ‘native language… original dwelling… Humans evolved among plants and animals, under the sky, upon the earth, near water’. Humans experienced and acted upon landscape in a sensory and bodily way before we had words to describe it. She argues that this process gave birth to a shared collective memory in body and mind, but that this language is, to many, as dead as Latin or as esoteric as Esperanto. There are many reasons for this, but perhaps the most obvious is that people have a lost a connection with the land itself through work, and have increasingly moved to cities. When people worked on the land and lived in villages and smaller towns which had a more human scale, they could not help but be deeply connected to the landscape and know its features through common usage – a copse, for instance, wouldn’t just be the name of a patch of woodland on an Ordnance Survey map, but a patch of hazel or chestnut woodland generating a huge variety of products for many common uses, and being a source of employment for many. Those who spent most of their lives outside would have ‘read’ the sky for signs of weather far more fluently than we do now, and ‘read’ the landscape to locate water and food, find refuge and shelter, or find warnings of predators. Spirn argues that we need to re-learn this language, and if we are to work in the field (metaphors of landscape are unavoidable) of landscape design, we have a duty to become conversant and ultimately fluent, in it. Interestingly, Spirn does not exclude cities and buildings from her definition of landscape, seeing all as a whole, and she asserts that those who achieve the greatest success in landscape (and pure) architecture, are fluent, eloquent and poetic masters of this particular language – from Frank Lloyd Wright, to Frederick Law Olmsted, Thomas Church, Jeffrey Jellicoe and countless others. The book also contains poignant accounts of instances where ignorance or illiteracy in this language has caused unforeseen negative consequences, ranging from the death of a tree that used to shade a university courtyard, through to the collapse of whole neighbourhoods due to the imposition of a strict city grid over a buried river which could never quite be contained. These are some of the most affecting passages in the book, but every chapter listed in the contents draws you further in – take just the subheadings of the first chapter: Landscape is Language; Landscape is Meaningful and Expressive; Landscape Has Consequences. Spirn’s bibliography is daunting and her reading more far-ranging than most could achieve in a lifetime, but her writing keeps drawing me back, and her book can act as a springboard to many other sources. Her writing is infused with poetry and is at its best (e.g. in the prologue and epilogue) where she allows herself a more journalistic and personal, rather than academic, tone. Like both Rachel Carson and Annie Dillard, she brings her subjects alive with a vividness, vibrancy and clarity, and the book is clearly a labour of love, 12 years in the writing. This entry was posted in Uncategorised and tagged Books, Inspiration, Inspirational Writers, Landscape Architecture, Landscape Design on 29th September 2014 by Ivan Tucker. The Palmstead Conference, and particularly the presentation on the Olympic Park got me thinking about what it’s like being involved in garden and landscape design today, and I couldn’t help feeling that maybe this is the best of times. Sure, competition is greater and money tighter, but that also means that professionalism and standards are consequently on the rise, which in turn will heighten the esteem in which this undervalued profession is held. It’s hard to see pictures of the Olympic Park without thinking of other major works of public landscape architecture such as the High Line in New York, the world’s most successful park ever, by most ways you could imagine measuring it. New York in turn (for me) evokes The Velvet Underground, and the analogy that if everyone who heard the VU went out and started a band, after seeing the High Line, every landscape architect surely dreams of designing a high-profile public space that transforms a former wasteland into a much-loved public space. There the metaphor runs out of steam, since the VU sold only a handful of records in their lifetime whilst the HL is the most visited attraction in NY and was well-loved from the start. And that’s where I’ll stop flogging that particular dead horse. What both of these great projects do though, is to engage people with landscape and with architecture, and to get them thinking, consciously or subliminally about the Language of Landscape and how we read it, and maybe makes people actually see things which previously slipped below their radar. After seeing the High Line, a park will never be ‘just a park’ again, because the definition of what a park can be, has been enriched and expanded. 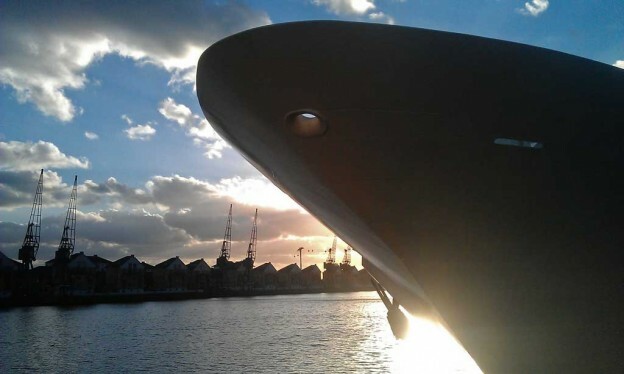 Similarly, in a country that pretty much wrote the book on self-effacement and passive aggression, i’ve not heard a bad word said about the Olympic Park – it seems like most visitors fall in love with the landscape, regardless of their opinion of the various buildings on the site. All of this can only be good for landscape design in general: although not all of the ideas displayed in such projects translate easily to the small canvas, naturalism as a movement has been growing for three decades, and now has some flagship projects to raise awareness of these kinds of approaches to landscape and planting, which will hopefully feed through into the tastes of both the owners of private gardens, and those who commission commercial and public landscapes. In time, maybe this will lead us away from the more wasteful, outdated and contrived styles in private gardens, and from the dreadful and dull utility landscapes of evergreen shrubs in public landscapes. One can but hope.. This entry was posted in Uncategorised and tagged Conferences and Events, Inspiration, Landscape Design on 25th September 2014 by Ivan Tucker. Last week I attended the annual Palmstead Conference, run by Palmstead Nurseries, at the Ashford International Hotel in Kent. I’ve been to every one of these since the inaugural conference in 2011 and as usual, this was a fun and informative event with several really good speakers, and we were very well fed and watered by the good people of Palmstead, with Nick Coslett as usual playing genial host. This year’s theme was ‘Design for Maintenance’ and, as usual, each speaker can address the theme as obliquely or as tangentially as they see fit – some speakers were a good fit whilst others linked to the theme tenuously but gave interesting talks nonetheless. Noel Kingsbury kicked the morning off with a talk about the longevity (or not) of perennials, explaining why, from physiological reasons, some plants are more long-lived than others – with some of the plants we call perennials living for only 3-5 years, whilst others may go on for 20 or more years. A useful and informative talk from a man who knows his Alliums. Colin Crosbie from the RHS gave useful insight into how two very different RHS borders are maintained, which underlined the labour-intensive and wasteful nature of the traditional English border relative to a well-planned modern perennial border, the latter being both far cheaper to maintain and having a far longer season of interest. Maybe he was preaching to the converted, but it was also good to remember that there are sound reasons underpinning the modern perennial garden and that less time maintaining a garden doesn’t necessarily mean a less beautiful garden, or foregoing seasonal interest. Richard Sneesby got the tummy-rumbling spot before lunch and kept people’s interest up with a more in-depth look at Capital (initial) costs vs. Revenue (ongoing) costs, which, when more information is available, should make it much easier for us to have those hard conversations with clients, and to give sound reasoning for our design choices. I would have liked more information but i’m told this is being worked on and will be forthcoming. An interesting approach was that of working out how long it takes for the maintenance costs of a given treatment to equal its initial implementation cost, a good example being that the most high maintenance surface (lawn) takes only 1 year for the maintenance costs to equal the installation cost, whilst a well-planned border may take 8-10 years. Presumably a durable hard surface would take even longer. Noel Farrer from the Landscape Institute gave a really interesting talk that was maybe the most tenuously linked to the theme, but I think we all let him off because of all the pretty pictures and because he was an engaging speaker – anyone that can keep you awake in the post-prandial slot is doing a good job. Having said that, I can’t remember what he actually spoke about. Sorry. Dr Phil Askew from the London Legacy Development Corp. gave a great talk about the Olympic Park, keeping the approach fairly broad brush-stroke whilst showing us lots of pictures of the undeniably lovely park to look at. I never made it up for the games but I did go up as soon as the park opened publicly and I thought it a lovely landscape that the Design Team have every right to be proud of. The talk showed just what a monumental job it was to reclaim and renew this formerly barren, polluted wasteland, and also inspired the second, hopefully shorter part of this blog.. This entry was posted in Uncategorised and tagged Blogging on blogging, Conferences and Events, Garden Maintenance, Landscape Design on 25th September 2014 by Ivan Tucker. So they tell me I need to blog. Apparently everyone’s at it, and I should be in on the act. I started out just wanting to design my own website, but as soon as I started speaking to friends and colleagues who had done the same, they would adopt an almost evangelical fervour about the necessity of blogging, tweeting and generally ‘getting my voice out there’. Actually I didn’t even really want to design my own website, but I didn’t like the previous work of any of the five companies I got to quote for it, so here I am. As someone who generally feels a bit oppressed by the white noise of modern life, this is a slightly disheartening realisation. But it seems that, as in a crowded pub, if everyone else is talking at the same time, you have to speak just that bit louder (or more funnily, or more stylishly, or something) to be heard. So here I am, head bowed, tail between legs, like a dog being shown what it has done wrong, being dragged toward the internet by the admonishment of well-meaning friends and the need to ‘drive traffic to my site’ and market myself, adding my voice to the billions already vying for your attention – so, apologies in advance. Who knows, maybe I’ll even end up liking it. This entry was posted in Uncategorised and tagged Blogging on blogging on 1st September 2014 by admin.